For years, when it came to China and the U.S. real estate things were very relatively straightforward – American business went to China to find cheap labor, while Chinese companies, investors and private citizens were increasingly pouring their money into American real estate. It was just a matter of time until things started changing and what I saw at the Waldorf Astoria this past Monday might be the beginning of the next phase. Earlier this week at a formal and an extremely very well organized event at the Waldorf Astoria in Manhattan, Xinyuan unveiled their block chain platform, named Fangyixin. Among the invitees were New York real estate developers, builders as well as members of the Chinese media and business circles here in New York. The entire executive team from Xinyuan, including Chairman Zhang, President Edward Cui and the head of their international operations, John Liang, were in attendance, which shows how much Xinyuan cares about this project. The tech/data side was represented by Xinyuan’s chief data scientist and the data scientist from IBM China. IBM is Xinyuan’s partner in this project. As expected, China’s consul in New York was also there and he was the one who made the opening remarks. The consul started by saying that the Chinese government sees this project as a great contribution of Chinese people and companies to the American and world economy. He acknowledged that in the past the U.S. contributed much to China in terms of economic and scientific development and emphasized that now it it is time for China, its companies and Chinese entrepreneurs to return the favor by bringing innovation back to the U.S. Chinese government officials view this as a great step forward in the bilateral relations between the two countries. Of course, they are very proud of this moment. It is also a very healthy indication that the technology scene in China is maturing. The consul finished by stressing yet again that the goal of the People’s Republic of China remains turning China into a technology superpower, while working in consort with the rest of the world. It expresses China’s desire to lead the world with the U.S. in terms of technological and scientific progress. Xinyuan’s Chairman, Mr. Zhang, was the next speaker. He spoke in Mandarin and his speech was broadcast in English via the headsets we received at the front. He started by giving a brief background on the relationship between Xinyuan and IBM. The two companies have developed this project together over the course of the last year. He then spoke about complexity of real estate deals and how streamlining transactions is key. Block chain provides the information and transparency that make it more efficient. Blockchain will also be very effective for B2B transactions. Xinyuan believes that their platform could be a true disruptor in the traditional practice of real estate, whereby in the future home buyers and investors will not only be able to buy but also finance their purchase. In terms of the partnership between Xinyuan and IBM, IBM provides the infrastructure and Xinyuan provides the data. Xinyuan wants to build the future infrastructure of fintech. They do understand that this is going to be a collaborative effort by all industry players and they are looking forward to building new relationships with their American counterparts in attempt to modernize real estate markets. The platform will go live in China next month, Aug 2016. After that, we moved into the Q&A part of the presentation with Mr. Cui and Mr. Liang taking questions from the crowd. Asked about their current projects, Mr. Cui confirmed work on Xinyuan’s new development site at 10th Ave and 45th street, which will eventually deliver 88 luxury units. He reiterated the idea that digitalization of real estate is imperative and block chain is in the center of it. Two keys things that I personally took away from this event. First, it is exciting to some, and probably quite unsettling for others, to see how technology continues to evolve and change the landscape of commercial real estate in the the city that sets standard for the rest of the world. It might be true that this is just the beginning, but it is exciting nonetheless. Second, the fact that it is a Chinese company that asks to be at the forefront of this change is not only a compliment to the company itself but is yet another sign of how hot Chinese tech scene has been and will continue to be. Foreign investors will be wise to take note. If you happen to be one of them and would like to invest in early stage Chinese technology companies, I will be happy to put you in touch with one of the most reliable and successful VC firms in China. Lastly, big compliments to the organizers, including the staff at the Waldorf. The entire event was conducted in both languages with both English and Mandarin simultaneous interpretations available to the attendees. Everything from the beginning to the end was perfectly done. 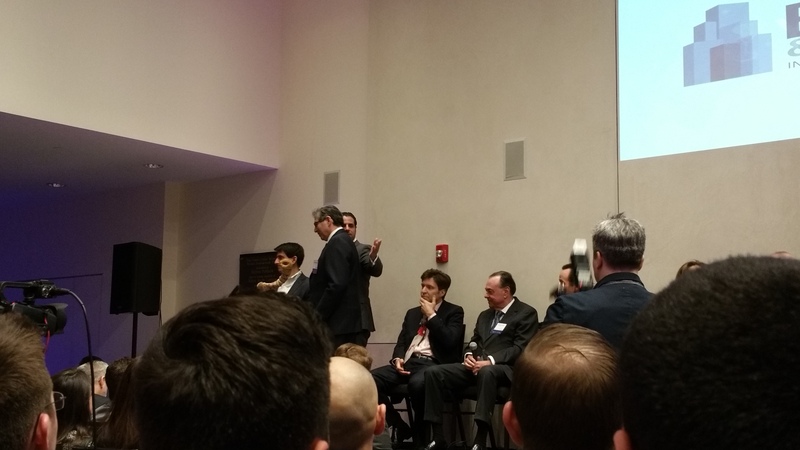 This past week I attended the YJP Real Estate Summit in Chelsea. A distinguished board of panelists was present which included Lawrence Benenson, Winston Fisher from Fisher Brothers, Leslie Himmel, Bruce Mosler (Cushman & Wakefield) and Stephen Siegel with CBRE. Jim Wacht (Lee & Associates) was the moderator and did a fantastic job, making jokes left and right and making it a lot of fun for everyone. Norman Bobrow was honored with the Deal Maker and Leadership award and gave a very inspirational acceptance speech. The discussion was focused on market developments and future forecasts, city safety and continued strong (and still growing) presence of foreign buyers not only in Manhattan but in the U.S. as a whole. I was quite impressed by all the comments and observations that were made by the panelists, however I will dare to say that it was Winston Fisher and Stephen Siegel’s points that left the deepest impression on me. Here are some key ideas from last night’s discussion. That comment made by Stephen Siegel was about NYC continued growth, which he sees proceeding into the foreseeable future. Demand for office space continues to grow and is fueled by companies who feel they want to be close to the center of the action. He sees the city itself as a center of gravity that will continue drawing talent and more people, especially young professionals who want to be where they can connect with like-minded individuals and pioneering companies. I can agree with him when it comes to companies, however on the residential front it seems things might be different. Recent article by The Wall Street Journal published on January 21 this year, talks about more and more people saying that the dream of owning a suburban home is not lost on them. According to the article, new data indicates that more than 60% of millennials actually want to live in the suburbs. I think that rising property prices in Manhattan are certainly part of this equation. It seems like the whole idea of increased urbanization is being tested anew by the new data coming in. We will simply have to wait and see what happens. I found this to be an especially brilliant concept put forth by Winston Fisher (he made many other spot-on observations as well). New York has steadily become the number 2 tech and innovation center in the U.S. Tons of money and talent continue flowing in. Winston – and I completely agree with him – gave a lot of kudos to Mayor Bloomberg whose contributions to the tech scene in NYC was unbelievable. 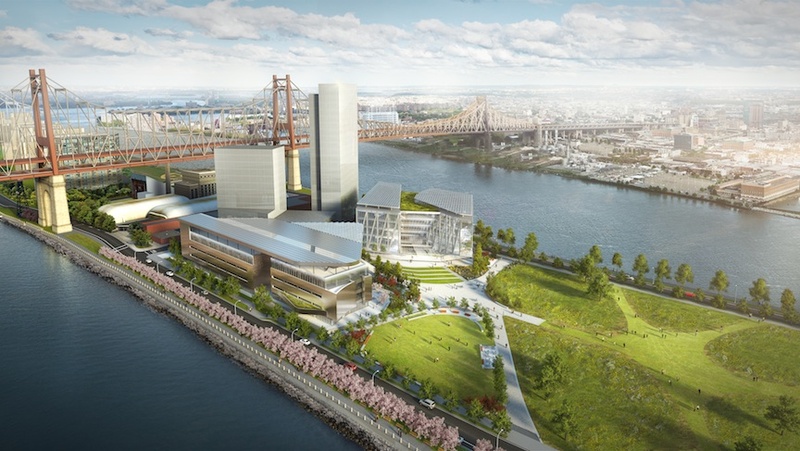 Cornell and Technion Tech Campus currently being built on Roosevelt Island will be another major milestone for New York, which in addition to being the financial center of the world is slowly but surely becoming the global center of knowledge, technology and ideation. Which means more money, more companies and more people. This also means good news for the real estate market. I found it completely fascinating that 50% (if not more) of last night’s discussion was focused on technology companies. It might have been Bruce Mosler who said that based on his data, TAMI companies (Technology, Advertising, Media and Internet) now account for approximately 30% of demand for commercial office space. That’s an incredible number. Disrupting the way commercial real estate owners and brokers operate – was not a point of discussion last night but in his recent post on the topic, Josh Guttman (http://goo.gl/IZqz7I) said that he sees the world of commercial real estate – with New York being its world capital – as prime for disruption. It is happening, will continue to happen and will be driven not only by the companies who focus on this market segment but by the actual real estate clients, i.e. Google, Facebook, etc. When you are used to doing business in a certain way, you want to see new methodologies employed across the board. How will NYC real estate handle such a change? Demand for more LEED/ Green space – all the panelists last night agreed on the importance of investing money in the buildings and changing their layout. TAMI companies demand open space layout, once again because it is part of their day-to-day creative and work process. But adding more open space is not enough. The overall quality of the space is super important. Upgrading space to meet LEED/Green criteria is important. It positively affects people, in terms of overall wellness and their productivity at work. But – as Winston Fisher eloquently put last night – this demand will have to reconciled with economic realities and has to make financial sense for all parties involved. Tech companies tend to like Midtown South area but buildings in Midtown and in the financial district can offer additional benefits, such as higher floors, thus more exposure to light and other benefits. We will have to wait and see how this is going to pan out, but decision makers in the tech world should definitely keep this in mind when choosing their locations. So another great event for YJP, great insights by the panelists. The future of the real estate market in New York has never looked brighter. Real Estate Data – how good is it really? One of the main challenges that all of us face today is the overwhelming availability of information and data. We all live in the Big Data world. But having a lot of data is not enough. As a matter of fact, too much data can be stressful and confusing. Let us take a real life example. You are looking at an investment in Battery Park City and think you might have found something you like. 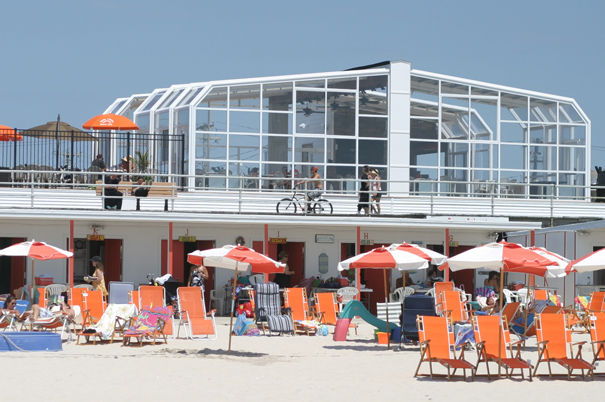 You now want to look at other properties in the area, the so-called comparables. If you ever looked at all the numbers that go along with that, you might have told yourself:”Isn’t there an easier way?” The answer is yes. This is why I created a suit of visual and analytical tools, like the dashboard on the right. There is more where this came from. If you are curious, give me a call and I call explain further.